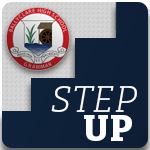 Young people’s time in Ballyclare High School is a transitional stage from childhood into the world of work, usually via further or higher education. Recognising that this is both an exciting and a daunting experience for young people, the School places a high importance on supporting them through every step of their career journey, whether that should take them to university or an apprenticeship. Dedicated careers room incorporating careers library. Office for one-to-one careers guidance interviews and Head of Careers administration. Every teacher in Ballyclare High School is a teacher of careers. As a result, pupils are well informed about career pathways from each of the subjects which they study in school and about the specific and transferable skills they are developing. Recognising that these career decisions can be stressful for parents too, the School provides information evenings for parents, in association with universities from across the British Isles. The implications of subject choices made at school are considered in the light of the most up-to-date labour market information. UCAS information evening in early September for Year 14 parents. Introduction to Higher Education and work experience for Year 13 parents in early September. 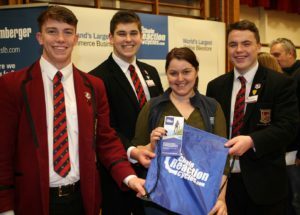 Ballyclare Learning Community Careers Convention for Years 10, 12 & 13 parents and pupils in late January/early February. Information evening on choosing A level subjects for Year 12 parents and pupils in February. Information evening on choosing GCSE subjects for Year 10 parents and pupils in February.